If you asked any teacher to list his/her top 10 frustrations with delivering instruction that teacher would probably say students not having needed supplies at the top of the list. It is a challenge to begin a math lesson when 19 out of 21 students have a pencil. Or you are in the middle of explaining some new creative assignment that involves scissors and glue, and five students raise their hands to tell you that they can’t find their scissors. UGH! Do you let them sit there and watch the other students do the assignment? Do you make them take the assignment home to complete and a note to the parent? Do you ask your students to share their supplies with their classmates? There are several ways you can look at this. From a parent’s point of view, they feel like they sent in the needed supplies at the beginning of the year so, why should they have to buy more? Are you creating an enabling situation when students are continually rescuing a student who doesn’t have his/her supplies or are you building a sense of community? I feel it’s important that we teach our students about responsibility, but Rome wasn’t built in a day. Is it realistic to expect 100% of your students to have their needed supplies everyday? How many times have you asked the teacher next door for cotton balls, red construction paper, brads, or some other supplies you need for the lesson you are teaching that day? It has happened to me more times than I care to count. Thankfully, I’ve always taught next door to teachers who graciously share their supplies with me. So, if I’m a grown adult and don’t always have all of my needed supplies to teach my lessons, is it fair for me to get frustrated with my students when they don’t have theirs? No, I don’t think so. How do you solve this problem? Do you just throw up your hands and give up? No, that’s not the answer either. First of all, you need to set a realistic goal. Wouldn’t it be great if you could count on 80% of your students always having their supplies to complete their assignments 100% of the time? More than 80% is a bonus. This means with 25 students, you can count on 20 students. What do you do with the other 5? You have “Oops” supplies . . . “Oops! I forgot I need to bring more pencils to school. One of the weekly jobs for your students is “supply manager”. When you begin an assignment, list what supplies will be needed, and have your students get out those supplies. Students who don’t have all of their needed supplies will raise their hand. Your supply manager will give “Oops” supplies to those students. This way you don’t have a long line and noisy students getting the needed supplies. At the end of the lesson, your supply manager collects the “Oops” supplies. Put a colored piece of tape on your supplies so your supplies are easily identified when it’s time for your supply manager to pick them up. I love the new colorful duct tape. 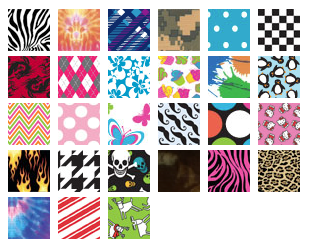 The tape also comes in patterns which is great if you have a thematic room. There are different ways to encourage your students to become more responsible. If your class is divided into teams, give team points to each of the teams who have the needed supplies. Another idea is to add an extra minute to your 30 minute Friday Fun day for each assignment that exceeds your 80% goal. If more than 80% don’t have their supplies, subtract that many minutes from Friday Fun Day. This is an awesome idea… thanks for sharing!!! P.S. I LOVE LOVE LOVE the new colored duck tape! Great idea! I love the use of duct tape. Tagging this for next year. I just started following your blog-its super! I would love for you to check out mine if you get a chance. This post really got me thinking. You're right, you can't expect 100% of your students to have their supplies every day. It's the pencils that drive me crazy—I feel like I have to give certain students a pencil every day and I never seem to get them back. I love the idea of labeling the "oops" supplies with tape. I thought of an idea to build on yours: what if you counted all the labeled pencils and then promised students a reward at the end of the quarter if you got say, 90% of them back? That might finally motivate some of them to take care of their pencils. It's interesting to hear how other districts handle student supplies. In my district, I'm not allowed to ask for anything. The parents make donations at the beginning of the year, and I get all my supplies through that account. I've always had what I needed. I love your idea about the duct tape though, just to distinguish between my class' supplies. That's a fantastic idea! It helps promote responsibility within students. And I L-O-V-E the patterned duct tape! Thank you so much for the labels. Who knew that in this day and age that duct tape would be so useful in a classroom!! In our district we are not allowed to require students to pay for anything. (By law we must provide a FREE public education.) All supplies are suggested donations. If they don't have it, we must supply it. Sometimes I think the kids are just eating their pencils. I love the idea of the tape to keep track of them! That's a great idea to use duct tape to keep track of your supplies! Way easier than writing my name on everything! This is something I have been struggling with.One thing I would add to this is to keep track of the students who lack supplies so that it doesn't become a habit.And once they have lacked something for 5 times there should be a consequence. What a great way to keep up with supplies with duck tape and file drawers!! Thanks for labels. What a great idea!!! I'm going to have to do this for next year!! Loving this idea! It can be so frustrating when students don't have what they need. I like how you marked the supplies as yours. Had no idea that the tape came in patterns!! Great post! Thanks for the great ideas! My grandmother taught school for nearly 30 years. She did this, but instead of duck tape she laid them all out and sprayed a stripe of spray paint. Still the easiest way and takes you 30 seconds to do a whole box. Way cheaper too. I spray all of my supplies and a can lasts all year…just make sure to buy good spray paint. I absolutely love this idea…adding suply manager to my classroom jobs list right now ok, in the morning!). I've had students peel off the tape and claim it's theirs. So Furbaby's idea is a good one too! I love this idea! I have classroom helpers but so many of my students lack supplies that a supply manager would be great! Thank you for the labels! I tape spoons that say "I stole this from Miss Dubach!" onto everything (and number each one) it reduces things getting kept (: I teach jr high so it's a bit different but still. Along with the spray paint idea, you can use nail polish. Great colors, probably have a pretty color that you dont use, and easy to apply. I have a very different take on this whole situation. I always provide my students with everything they need to work. I want all of my students to have the same things to use. My school is 100% free lunch. I don't think it is fair to expect 6 year olds who can't work and earn $ to have supplies. Their parents are the irresponsible ones, not them. So I do carry the burden for providing sharpened pencils, scissors, glue sticks and crayons. If some of them bring them in for community supplies, the more the better. I don't have time for the percentage games – we have so much data to collect, record, & analyze now, we are ready to go out of our minds. Until you can force adults to be responsible for their children or school districts to provide all classroom necessities (our doesn't even give us the basals we need), the ultimate responsibility for materials will fall to the teacher who wants to get things done. I love these ideas! Especially the Oops Supply helper and the colored tape, will be doing both this year. We do spot checks for supplies and I have a Silly Sam award called You're Prepared!, students that kept track of supplies get that. Students that are missing supplies can choose to fill out a reminder form to bring home if they need pencils, or those red crayons. Otherwise, we hit the community supplies and I replace the items. Also, I add on our homework sheet that each new month is a good time to bring in 6 more sharpened pencils. When several students remember and bring supplies, others start to follow. I am in a district where most students have plenty at home that can bring, and I take care of those that don't.